To ensure compliance with NIGHT WATCH SECURITY SERVICES LTD policies and regulatory requirements relating to the reporting, investigation and correction of incidents. in the course of, or as a result of, any occupational, educational, commercial, or NIGHT WATCH SECURITY SERVICES LTD -endorsed activity, whatever its location. Incident: means any unplanned event within the scope of this procedure that causes, or has the potential to cause, an injury or illness and/or damage to equipment, buildings, plant or the natural environment. Incidents range from near-miss incidents to serious incidents and emergencies. Injury or illness: covers any injury or illness incurred by any person whilst present on grounds of the NIGHT WATCH SECURITY SERVICES LTD ASSOSIATES, and any illness which is thought to be in some way related to the NIGHT WATCH SECURITY SERVICES LTD. It includes the recurrence or aggravation of any pre-existing injury or illness. Very Minor Injury or Illness: means an injury or illness that only causes discomfort or short-term pain, has no lasting effect, has no foreseeable potential to worsen, and was caused by trivial and isolated causes. Typical examples include paper cuts, small bumps and bruises, minor scratches, temporary headaches or indispositions, etc.  NIGHT WATCH SECURITY SERVICES LTD Contact: means any employee of the NIGHT WATCH SECURITY SERVICES LTD who organises or supervises the presence of contractors or visitors on NIGHT WATCH SECURITY SERVICES LTD grounds. Supervisors, Managers, NIGHT WATCH SECURITY SERVICES LTD contacts, and Employee’s to whom an incident has been reported must follow the instructions shown in the following sub-sections. send a completed Injury Report to the duty manager within 24 hours of the incident. 1. Initial verbal report by injured person to Supervisor/Manager etc. 2. Supervisor/Manager ensures that part 1 of form is completed, preferably by injured person, and supplies a copy of Part 1 to Duty manager within 1 working day of initial verbal report. 3. Supervisor/Manager investigates circumstances and contributing factors of injury, and recommends corrective actions in part 2 of form. 4. NIGHT WATCH SECURITY SERVICES LTD review parts 1 and 2 of form and amend or endorse proposed corrective actions. Sign, file copy, forward form to Duty manager within 5 working days of the initial verbal report. 5. Duty manager sign part 3 of form for employees and serious injuries to students. Send copy to injured person. Organise prompt first-aid treatment (if available). Complete a Hazard/Near-Miss Report within 2 working days of the initial report. All employees, students, contractors and visitors are responsible for the initial report of incidents. complying with this procedure for incidents reported to them. maintaining the records required by legislation in relation to serious incidents.